Amazon says Prime Air will start when FAA issues its drone regulations. A Prime Air drone on the move. 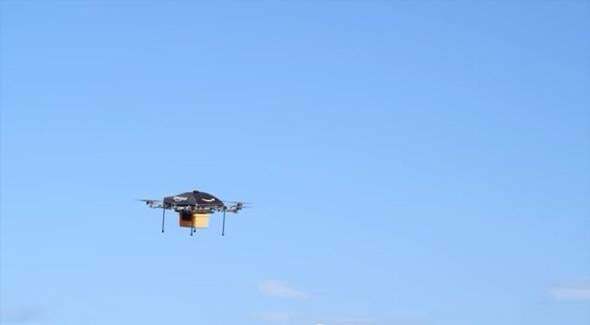 In December 2013, Jeff Bezos announced on 60 Minutes that Amazon was working to add drone delivery as an option for customers. “Prime Air” sounded pretty ridiculous at the time, and there are still technological hurdles that make it seem far off, but Amazon insists it’s going to be a reality. Soon. Reuters reports that at a congressional hearing Wednesday, FAA deputy administrator Michael Whitaker testified about plans for the agency’s drone regulations. He said, “The rule will be in place within a year. … Hopefully before June 17, 2016.” This timeframe is a big improvement over the FAA’s previous estimate from December that the regulations would be ready by 2017 at the earliest. Who knows if Amazon will actually be able to make good on this promise from day one at a large scale, but it’s entertaining (and pretty impressive) to watch the company try.